Submitted by Tom Lane on 2 April 2013. Saturday was a day to recover and rest. I chose to race the Tanana River Challenge. A 100K ski race from Nenana to Fairbanks that was shortened to 75K because of open water at the mouth of the Chena River (river that flows through Fairbanks). Mountain bikers on fat tire bikes and skijors (skiers pulled by dogs) were also in the race. Early morning start in Nenana, AK. 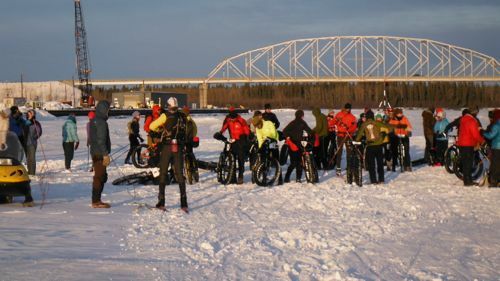 of the Tanana River Challenge a 75K race from Nenana to Fairbanks. Note the famous Nenana Ice Classic Tripod in the background. Feed station 40K into the Tanana River Challenge. I stayed with a college friend of mine Jim Lokken (Jim won the Tanana River Challenge race) and his family. 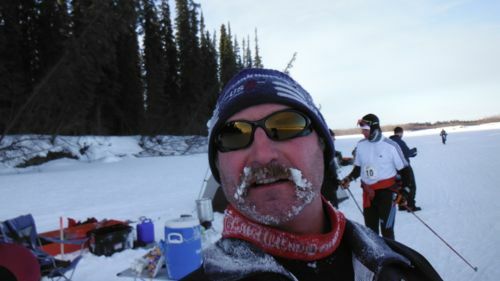 Jim born and raised in Fairbanks is a well known high school science teacher, ultra-distance athlete and outdoorsman in Alaska. 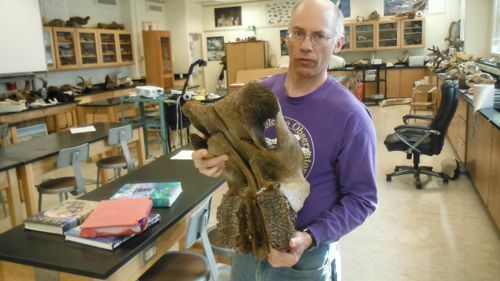 Lathrop High School Teacher Jim Lokken holding a Mastodon upper jaw in his science classroom. 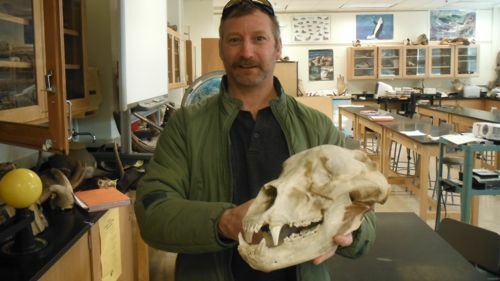 Here I am holding a skull collected by Lathrop High School Science teacher Jim Lokken in his classroom. What animal do you think this skull comes from? Researcher Elizabeth Webb and Field Technician John Krapek picked me up at their office at the University of Alaska-Fairbanks and we drove south on the Parks Highway to Healy where the research site is located. 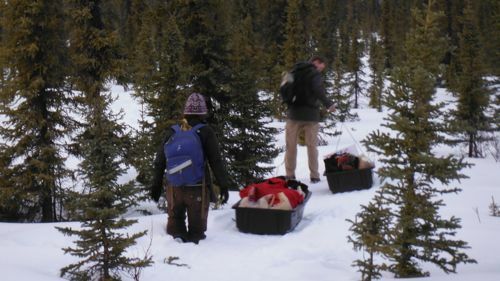 Elizabeth Webb and John Krapek pull supplies into the cabin from the road. Notice Elizabeth stepped off the trail and post holed to mid-thigh.